The legendary Hotel Finisterra is now Sandos Finisterra Los Cabos, a 5-star All Inclusive resort located 45 minutes from Los Cabos International Airport. 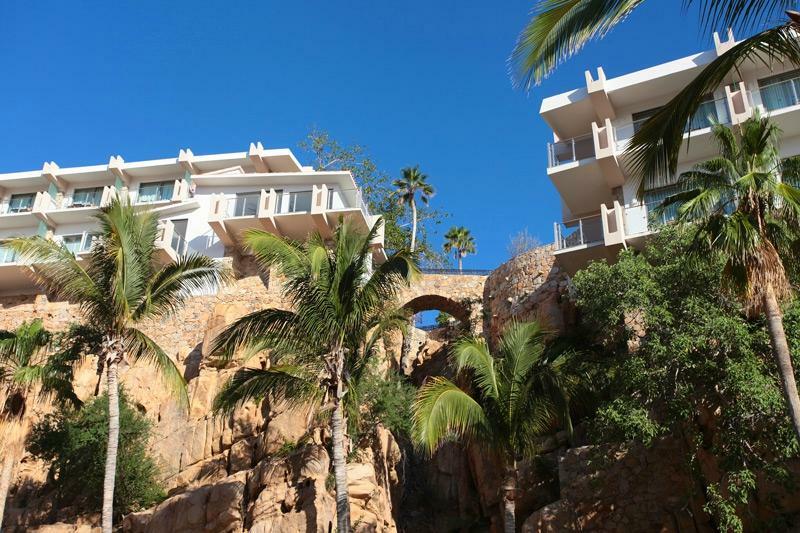 This iconic property in the “Heart and Soul of Cabo” has been mostly renovated. It has a beautiful pristine beach, and it’s only a short walk from downtown Cabo San Lucas and its renowned marina, where world famous restaurants, shops, nightlife and water sports blend together to create the incredible Los Cabos. As part of the Blue Label concept of Sandos Hotels & Resorts, the resort experience focuses around the beach, including beach parties, evening dining on the beach where you can lay back and relax with your feet in the sand, numerous beach sports and activities, environmental conservation and much more. 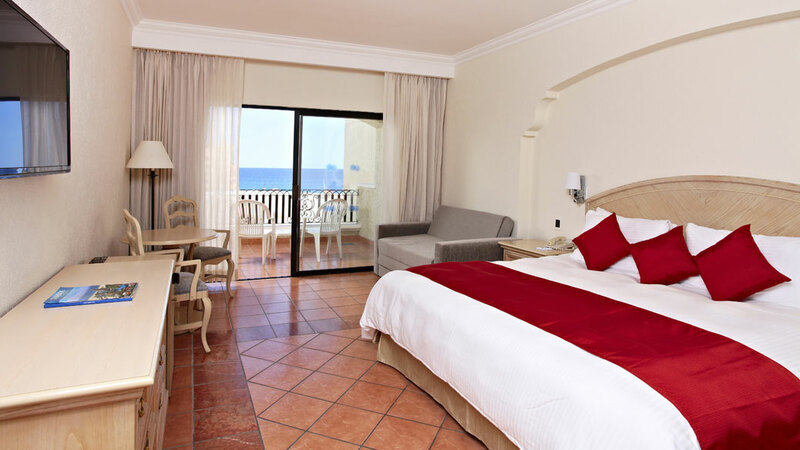 Each of the rooms at Sandos Finisterra Los Cabos has views of the Pacific Ocean or the San Lucas Bay and marina. Late-nighters are in for a treat! 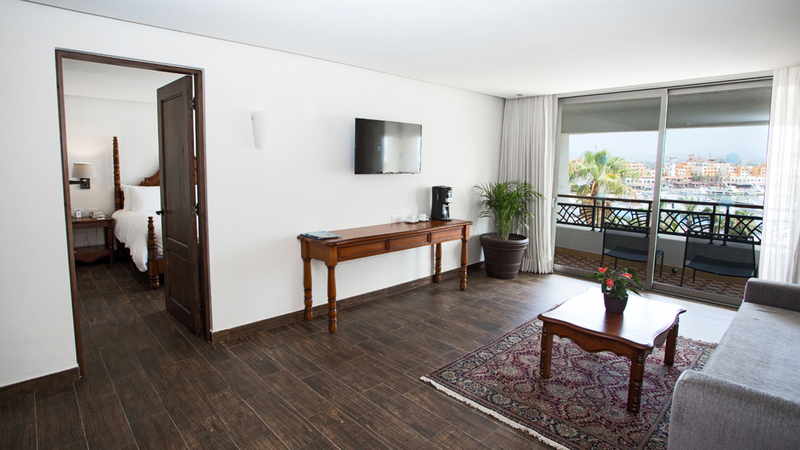 All rooms offer room service 24 hours a day, seven days a week. You’ll get bottomless drinks, mouthwatering eats all day, and a variety of activities for the entire family. As you step into these rooms, you won’t be able to take your eyes off of the spectacular panoramic views of the bay, the bustling marina, downtown and the hills beyond. 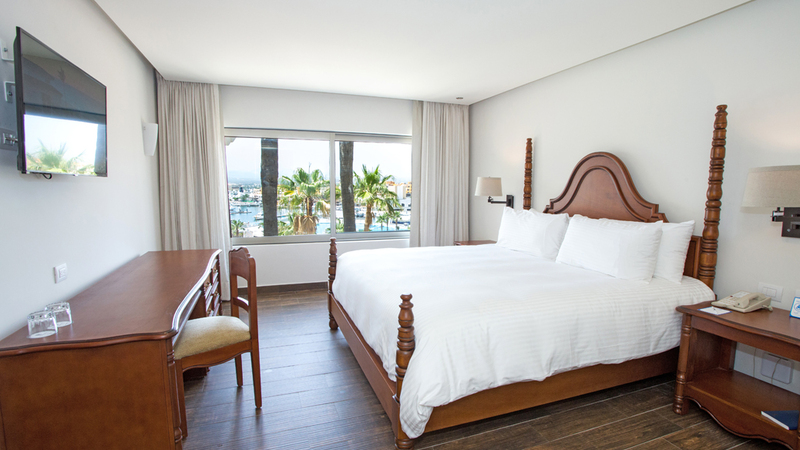 The accommodations at Sandos Finisterra Los Cabos have everything you need to get into “vacation mode” in beautiful Cabo San Lucas, Mexico. 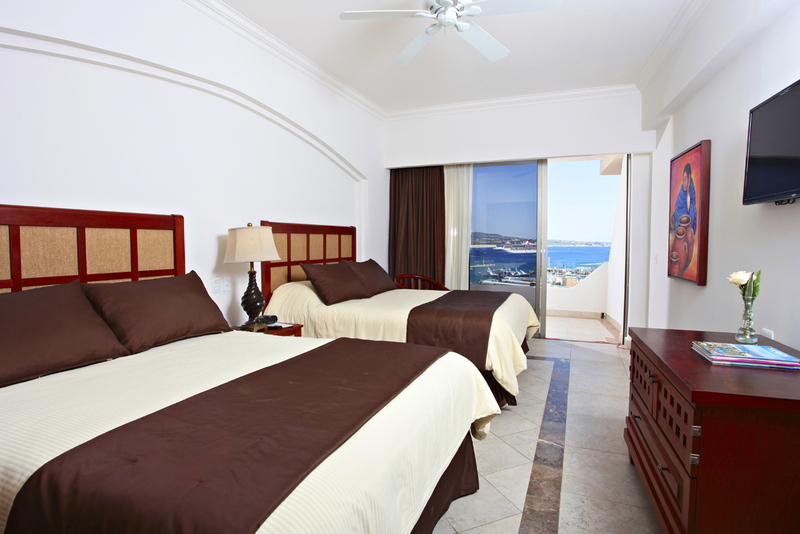 Beautifully Mexican style guestrooms set on the bottom of the hill and with spectacular views of the bay. The Casita Deluxe room is equipped with either one King or two Queen beds, sleeping up to 3 adults and 1 child or 2 adults and 2 children. 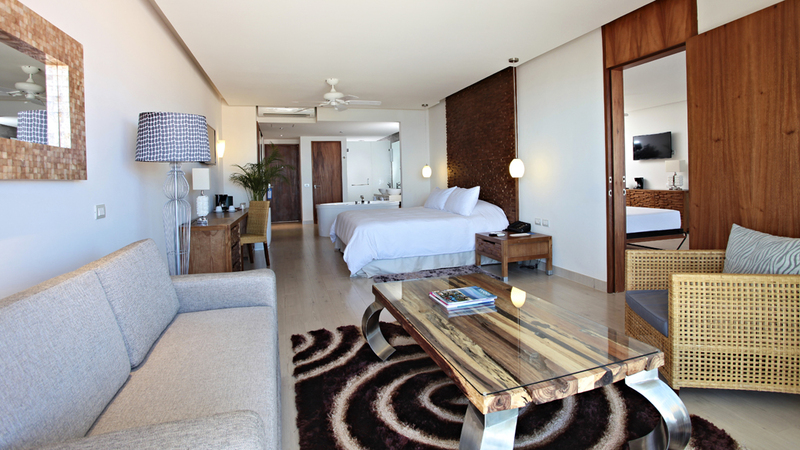 These modern suites are located in the original historic section of Sandos Finisterra resort, boasting clifftop views over the bay and the marina, or partial ocean views. 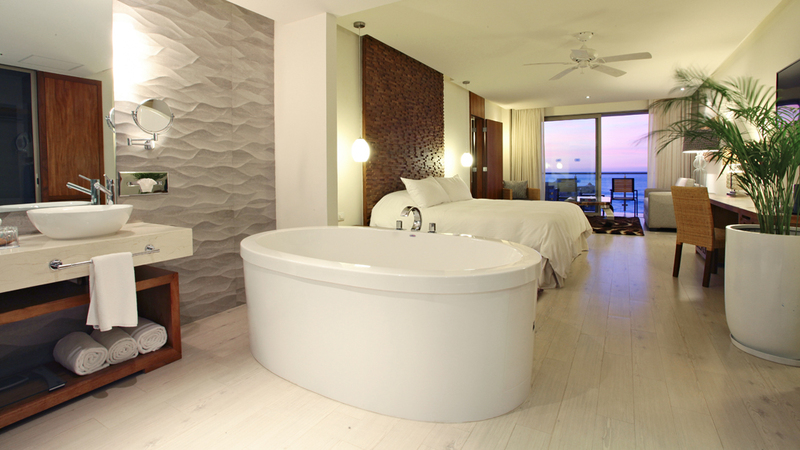 Each has a living area and access to the VIP pool area, and king rooms feature an in-room jacuzzi tub. These large and luxurious suites feature a bedroom with a living area and sofa bed, and a separate studio with two murphy beds. Enjoy contemporary style and access to the VIP pool area, along with views of San Lucas Bay and marina, or partial ocean views. A tempting selection of upscale à la carte restaurants, beachfront snacks, laid-back bars and the best breakfast spread you’ve ever seen. Buffet: Indulge your senses with impressive buffets and panoramic views at Don Diego restaurant. Á la Carte: Three stunning restaurants featuring cuisine from Mexico, Baja California, Italy and beyond. Bars & Snack Bars: Try out our six bars and Cupcake Café with refreshing drinks throughout the resort.